I am always interested in Guest Posting on your blog! Contact me to connect regarding an upcoming post. I welcome sponsorship opportunities in a variety of ways! Giveaways and Reviews are two of the most common, however if you have another idea, I’d love to hear it. I do reserve the right to accept or decline any opportunity, depending on if I feel that it aligns with my values as a blogger or would benefit my readers. Book Reviews – I enjoy reading and know that my readers do too! If you are interested in having me read a book to review (and even better, giving away a copy to readers), please Contact Me. If I feel that it would be beneficial to my readers, I would love to share it! Please note that reviewing a book doesn’t promise that I will review it publicly or host a giveaway. Product Reviews – If you or your company would like to suggest a product or products that you believe would benefit the readers of this blog, please Contact Me. If you are going to suggest a giveaway, I ask that you include all information about the item with a thorough description, as well as if you are willing to ship me the item first to review, and then ship the item directly to the winner. (Or reimburse me for shipping costs). I will get back to all product emails within 5 business days. 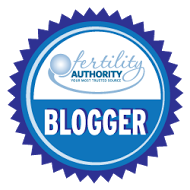 Webinars/Conferences – I am interested in conference opportunities that would allow me to share with my readers anything learned about infertility, life as a Christian or blogging. Please Contact Me directly to discuss this. If you are interested in discussing about media opportunities or speaking engagements, please Contact Me directly. Throughout my blog, you may see Amazon or ShareASale affiliate links. This is a way for me to share with you some of my favorite products, while being able to make a (small!) income if you choose to purchase the product at no additional cost to you, through my link. If you do choose to use these links, I thank you!